Do you have insurance now? disabled and/or receiving long-term disability benefits? (AIDS) or Human Immunodeficiency Virus (HIV)? 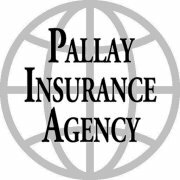 Upon submitting your Quote Request, an email will be sent to Pallay Insurance Agency. You will be taken to a "Success" page after completing transmission. Note: This information will not be used for any other purpose except to generate a quotation for insurance. Any quotations generated are for your information only and are intended to be rough estimates. Actual quotations will only be issued after more complete information has been gathered, which will be made easier by completing this form. For any questions, do not hesitate to call us at 708-478-7499.